Due to rapid population and economic growth, Indonesia is facing issues such as land subsidence and rising sea levels. 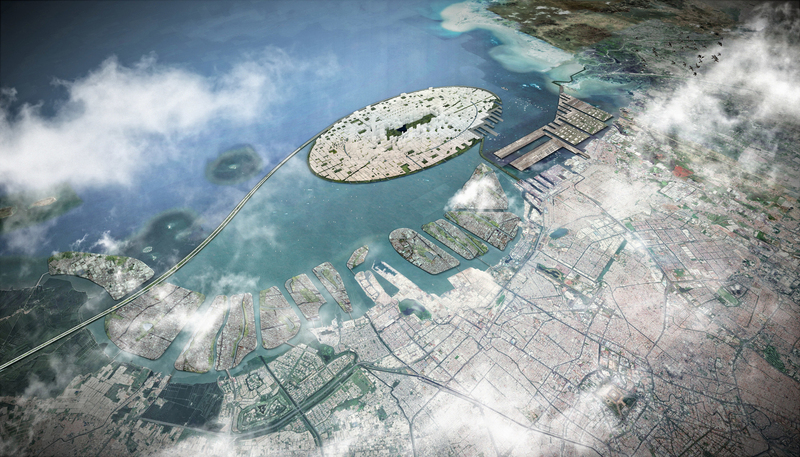 To combat these problems and more, SHAU Architects created a master plan for the Jakarta Jaya Foundation focused on large-scale land reclamation to integrate green space. 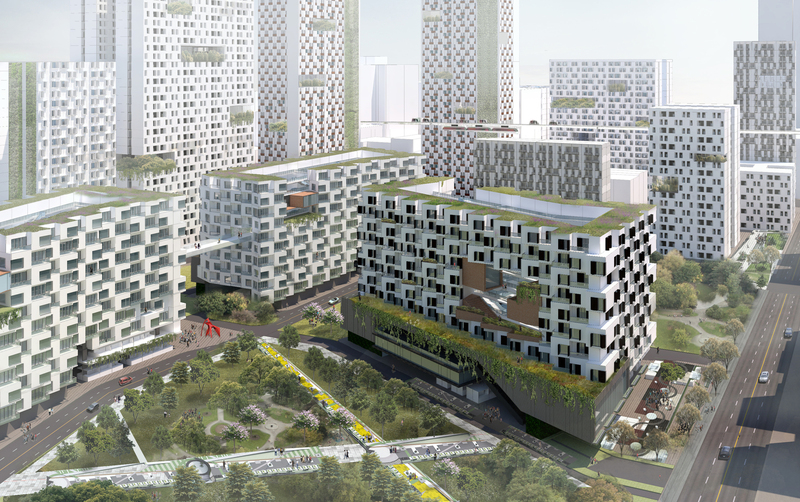 By addressing impending challenges, SHAU Architects proposal, Jakarta Jaya: the Green Manhattan, won a Smart Citiesprize at the World Architecture Festival 2017. 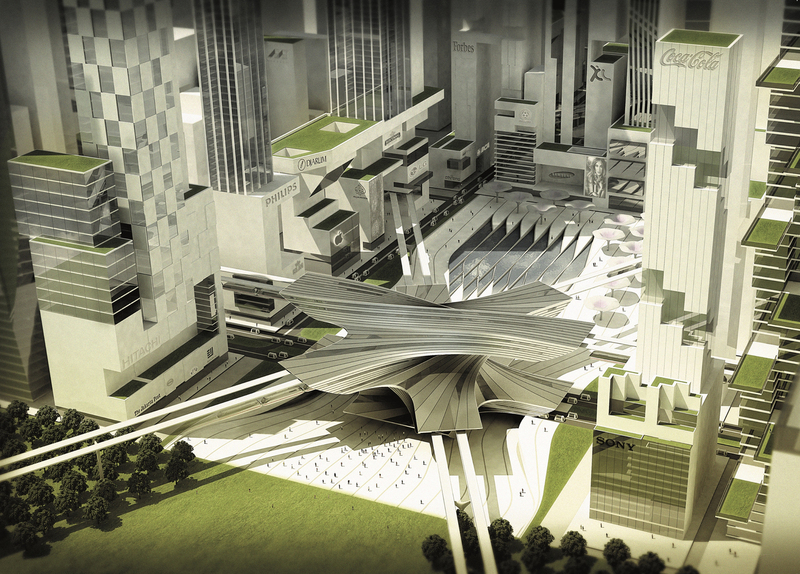 The master plan is envisioned as an ensemble of ecological and social projects in one multiple-grid layout. It will be a pedestrian-based city. 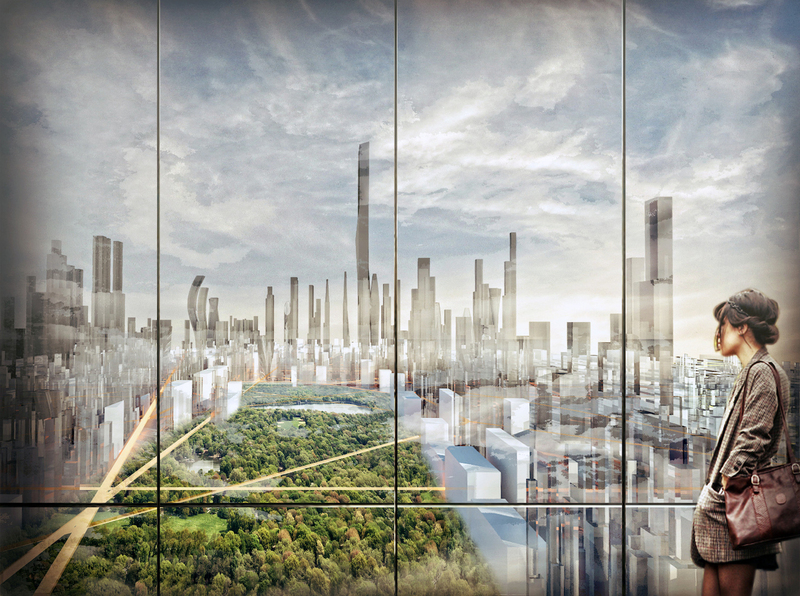 Each plot will have special green regulations for buildings and open spaces, covering horizontal and vertical connections between buildings, for example. There will be special architecture and landscape designs for recreation, education and housing, among others, according to SHAU founders and architects, Heinzelmann and Suryawinata. 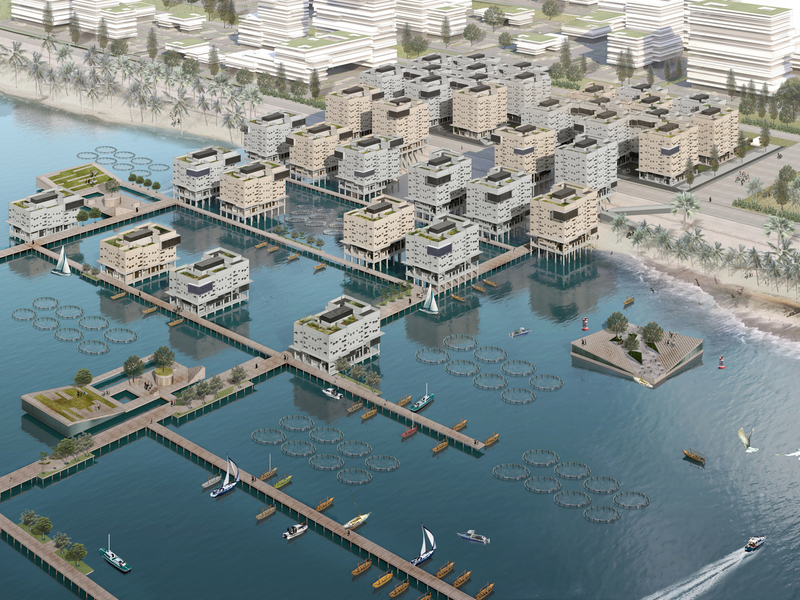 The design team used primarily the Manhattan grid to inform the urban framework on the oval-shaped island, but other city grids inspired the design as well. 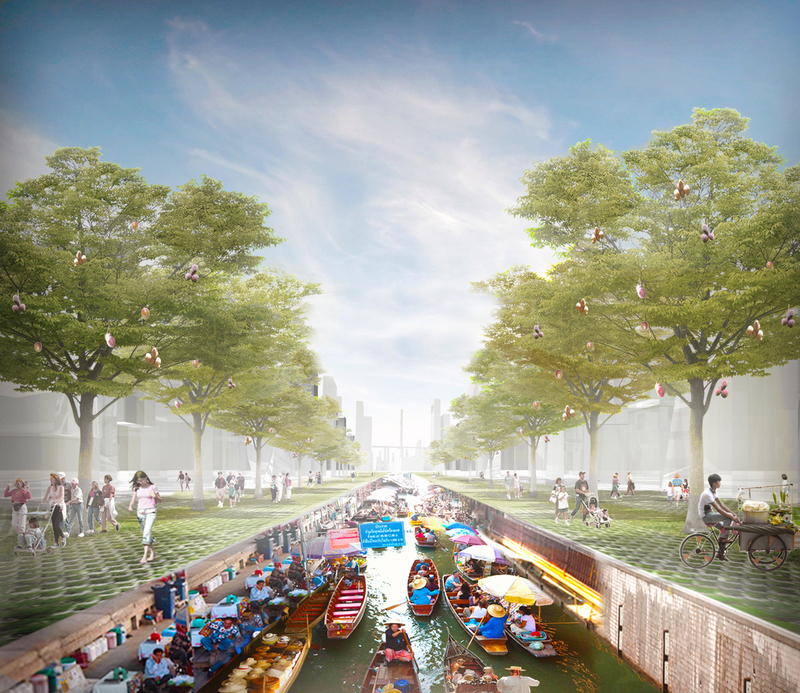 This organization of urban space would give Jakarta 1.9 million residents new living space, public promenades, parks, and plazas. 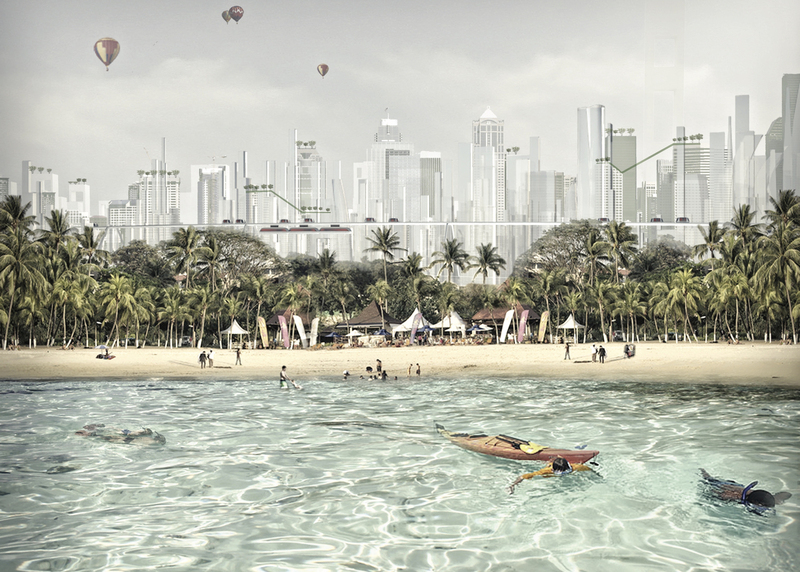 By integrating Indonesia’s prominent shoreline, the master plan gives residents tropical parks, beaches, lakes, and canals, too. Zones are dedicated to coastal communities so fisheries can thrive. Boat moorings are placed adjacent to the fisheries worker’s housing compound. In addition, the island will mitigate future flooding with help from the Giant Sea Wall. The new master plan intends to plan for Jakarta’s growth sustainably and responsibly through objectives which include: 50% of green and blue open spaces, zero net CO2 emissions, 50% of food self-grown and produced, 80% of water self-provided, 150% of green energy produced, 150% of garbage recycled, 90% car-free zone with automated public and private transport, 1 public white solar car for every 10 inhabitants, 20% of people using boats to commute, 200 m maximum distance between public transportation stops, 20% of commercial buildings dedicated to middle- and low-income housing and marketplaces, and 1:1 people to bicycle ratio. 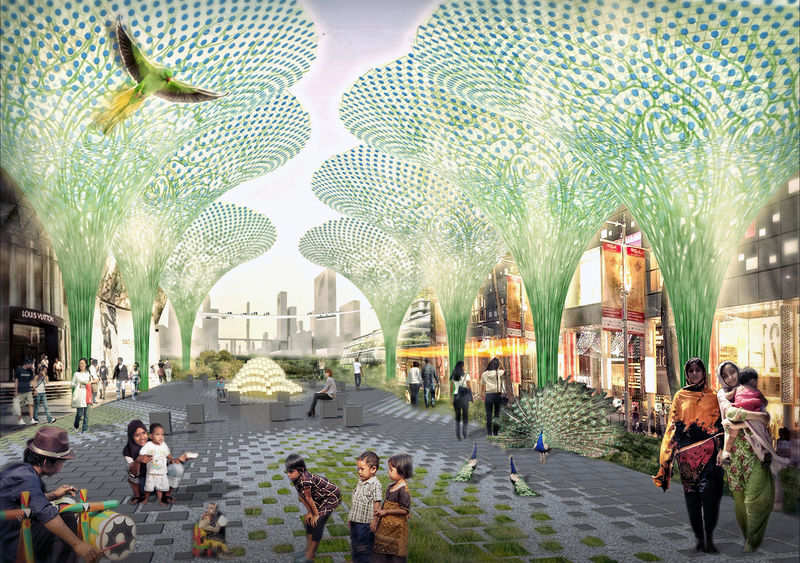 Since 2012, Jesse Kuijper, CEO of the Borneo Initiative, together with Florian Heinzelmann and Daliana Suryawinata of SHAU have been planning Jakarta Jaya: The Green Manhattan as an independent initiative. In 2013, the project was given to the Indonesian government in the Dutch Prime Minister Rutte’s bidbook. The plan is designed to be 58 km2 over a 30-year timeframe.